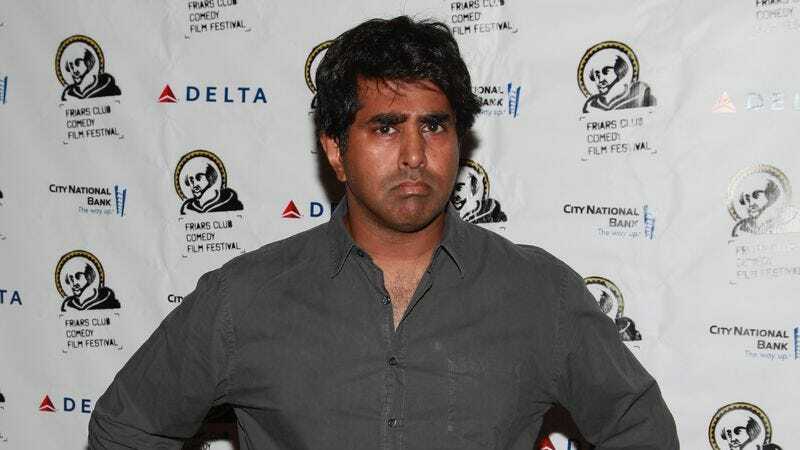 Broken Lizard member Jay Chandrasekhar has been involved in some of the most beloved comedies of the last 15 years. Not just projects like the cult favorite Super Troopers, which is getting a crowdfunded sequel soon, but as director for shows ranging from Arrested Development and Happy Endings to Community and New Girl. Now, Chandrasekhar has written a book tracking his journey from the Chicago suburbs into the comedy world, and fans in said city will have a chance to talk to him about it next month. Chandrasekhar is hosting a release party for his new book, Mustache Shenanigans, on March 28 at the Music Box Theater. Co-hosting duties will be handled by The A.V. Club’s own Alex McCown-Levy, talking with Chandrasekhar about the making of Super Troopers, the other Broken Lizard films, and everything else covered in the book. Tickets for the event cost $40 for singles and $50 for couples, and come with a copy of Mustache Shenanigans. You can purchase tickets right here.